SteelCentral AppInternals 10.4 introduces some revolutionary new functionality to not only overcome these challenges, but extract business-relevant information buried deep in these mind-boggling complex architectures. 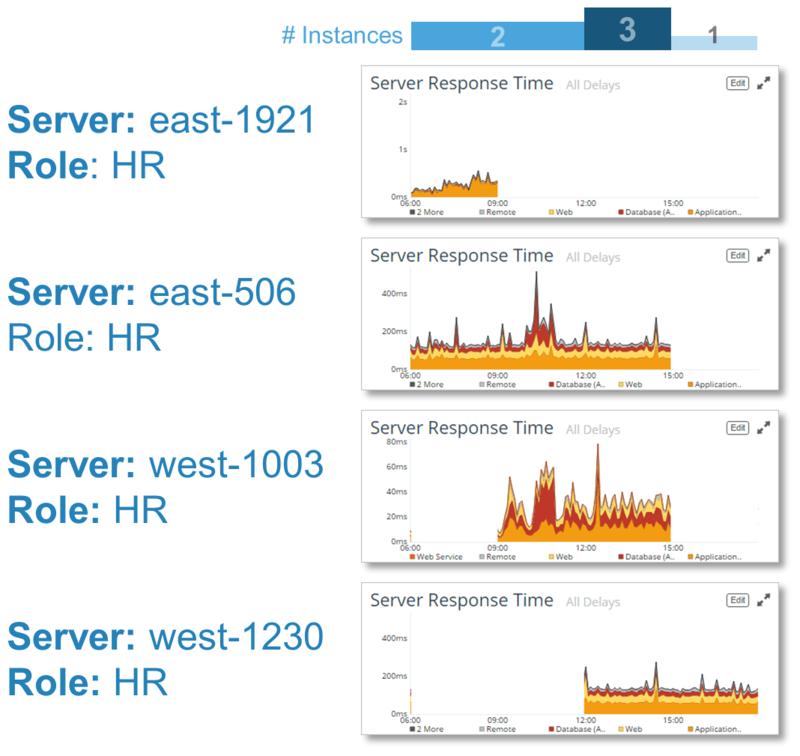 Dynamic ‘Scaling Up’ and ‘Scaling Out’ of application instances presents numerous challenges for monitoring. Since the physical identities and quantity of instances can change from moment-to-moment, a logical approach must be employed to collate and analyze APM data. Tags also ensure that every brand-new instance is automatically provisioned with a specific AppInternals configuration (which JVMs/CLRs to monitor, what code detail to collect etc.) so that even short-lived instances are fully configured upon initialization without requiring any manual intervention or restarts. AppInternals works with any cloud computing service, but 10.4 has additional support for Azure and Amazon Web Services (AWS). The AppInternals Analysis Server can be easily spun up from the Azure Marketplace or AWS Marketplace in a manner of minutes. AppInternals is all about Big data—capturing all transactions, all the time, without sampling, in immense detail. Even if you have billions of transactions per month, every single one of those is captured with call stacks, method parameters, sql statements, web service calls and multi-tier transaction maps. All of those details are persisted for months and not watered down by roll-ups nor aggregation. Most importantly, that data can be searched, filtered and analyzed in true Big Data fashion, based on any combination of 100+ different criteria. Version 10.4 introduces a number of exciting features which leverage that rich dataset even further to more rapidly reveal root causes and expose unexpected patterns of behavior and relationships between shared components. The remainder of this article will focus on some of those enhancements. 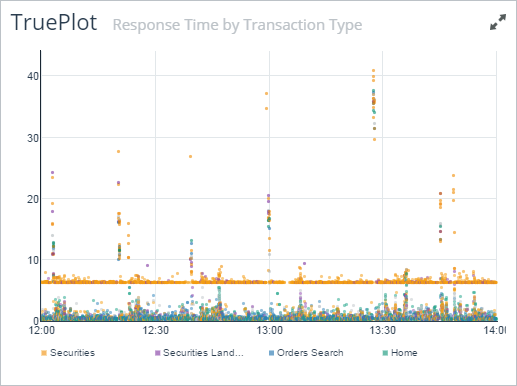 In this example we can immediately see that the method getAnalystRecommendation is the top contributor to overall delay, but the getstockquote SQL call is the root cause for the spike in response time at 10am. In one screen you have all the information you need to start solving the problem. One and done. Unfortunately, time series charts by their nature are very limited. They can’t effectively relate the subtleties of rich datasets and can inadvertently hide behavioral patterns which are crucial to determining true root cause. In this regard, all APM tools are fundamentally flawed. TruePlot helps you differentiate symptoms from root causes so you don’t waste time futilely trying to fix the wrong thing. For more examples of why TruePlot is so valuable, and the case studies which inspired it, watch my talk from Collision Conference. As application architectures continue to increase in complexity, and are further complicated by the elasticity and transience of cloud/containers, relationship mapping based on physical concepts like servers and JVMs/CLRs becomes less practical. This type of complexity is increasingly common, and all APM vendors struggle with relating practical value for these massive physically-organized maps. AppInternals 10.4 introduces Performance Graph, which leverages the power of mathematical graph theory to model the logical relationships of application transactions and their sub-components (methods, SQL, etc.) to reveal the top sources of delay for individual transaction types or entire applications simultaneously. 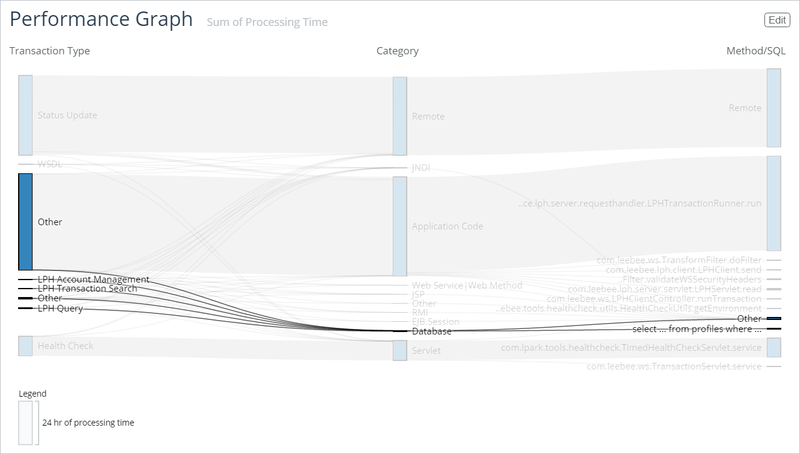 It clearly shows which transaction types are consuming the most processing time, as well as root causes for those delays, down to specific methods, SQL, etc. 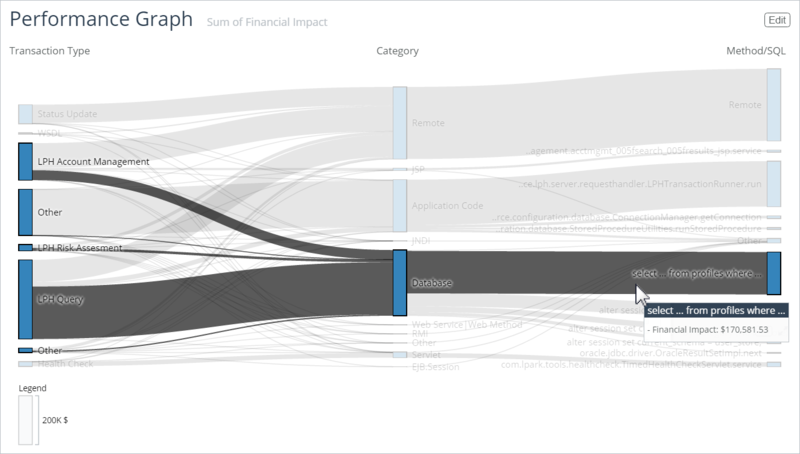 The Show Financial Impact option for Performance Graph is truly revolutionary. It enables you to perform business relevant analysis of your APM data, based on dollars (or whatever your local currency is) rather than simply seconds. You may now specify the financial impact per minute of response time for different transaction types in your application. For example, certain mission-critical end-user transactions may have higher downtime or slow time cost than internal administrative or reporting transactions. Determining the top candidates to optimize based on business impact may yield very different results than those based purely on response time or total processing seconds. But when the very same data is rendered based on the relative financial impact of different types of transactions, then database transactions become very significant, with just one related to over $170,000 per day. That clearly should be a candidate to improve its performance and reliability. 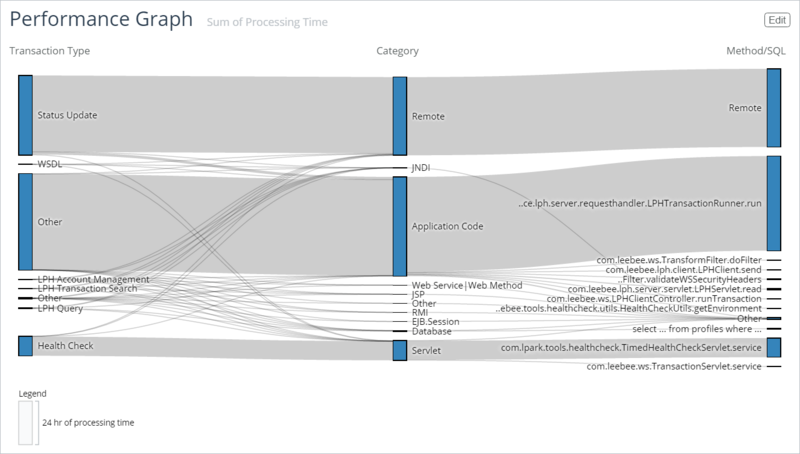 I’ve been using AppInternals for almost 13 years, and I truly believe that we’ve created something really special with version 10.4—Performance Graph, TruePlot and our one-and-done method-level analysis are going to change the way APM is done.